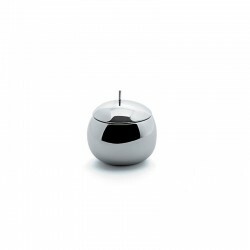 Officina Alessi, one of the ALESSI brands that presents the finest products, some of which are only produced in a limited edition. 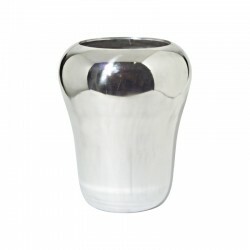 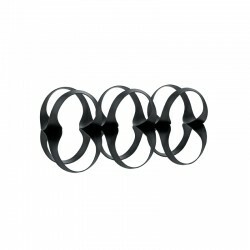 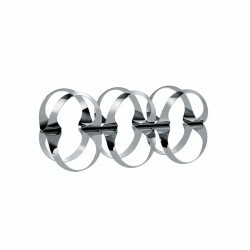 The company is remodelling famous design classics, in order to bring out lavish new individual pieces. 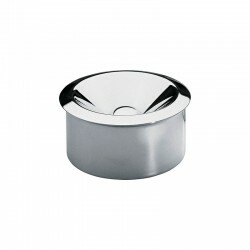 Two-piece ashtray in steel mirror polished. 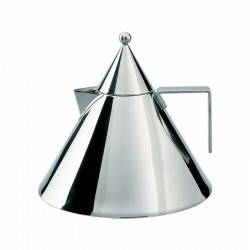 Designed by Marianne Brandt, the only woman to have worked in the Metallwerkstatt of the Bauhaus. 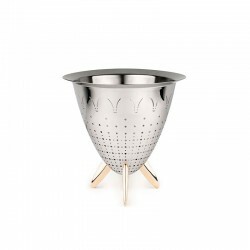 It's part of the category home accessories coming from significant examples of creative moments, historical epochs or prototypes by major creators in Alessi specific field. 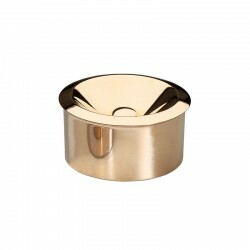 Two-piece ashtray in brass mirror polished. 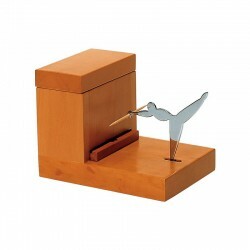 Designed by Marianne Brandt, the only woman to have worked in the Metallwerkstatt of the Bauhaus. 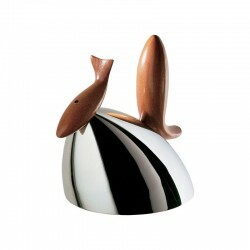 It's part of the category home accessories coming from significant examples of creative moments, historical epochs or prototypes by major creators in Alessi specific field. 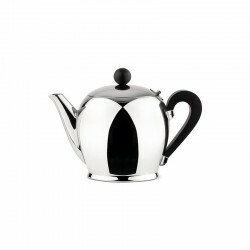 Teapot in 18/10 stainless steel mirror polished with handle and knob in bakelite. Enjoy real relax moments with the Bombé collection! 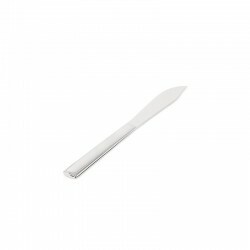 Set of 6 fish knives in 18/10 stainless steel mirror polished. 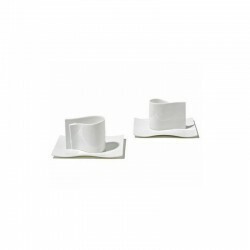 Designed by Josef Hoffmann in 1906, the Rundes Modell cutlery fully respected the functionality, practicality and elegance. 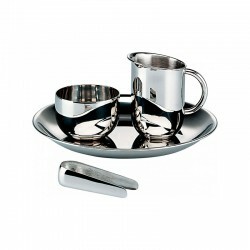 Sugar and cream set: tray, creamer, sugar bowl, sugar tongs in steel mirror polished. 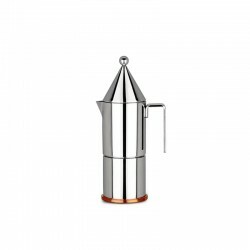 Designed in 1928 by Marianne Brandt, the only woman to have worked in the Bauhaus Metallwerkstatt, this is a wonderful example of an archetype in the search for simplicity in the industrial process of spinning and pressing metals. 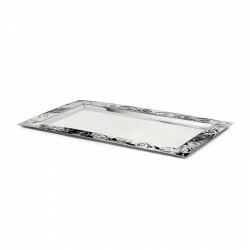 Rectangular tray with embossed edge in steel mirror polished. 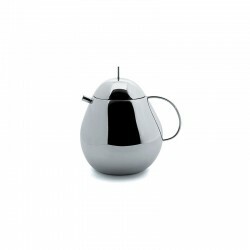 Teapot in 18/10 stainless steel mirror polished. 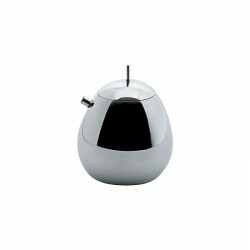 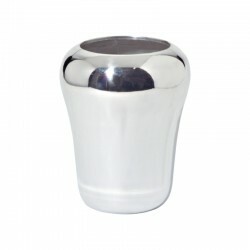 Creamer in 18/10 stainless steel mirror polished.